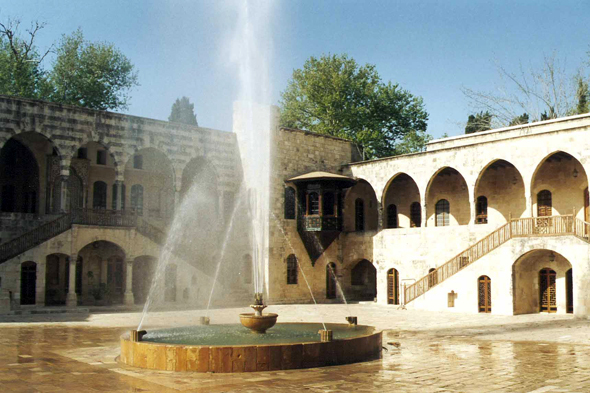 Dar el-Harim, personal apartments of the palace of Beiteddine, presents a famous frontage. On left, an arch frames the gate with polychrome marbles and ochre stone sculptures. At the centre, a staircase gives access on the first floor. On right side, an open balcony from where the emir attended some representations.